Have you heard Hyundai vehicles loose their value faster than those wearing Toyota, Honda or VW badge? I did it too, but times are changing fast and latest motor industry analysts say used Hyundai models hold their values much longer these days. In fact, latest Hyundai product, the i20, which is yet to hit the markets across the Europe, will retain a greater percentage of its original value after three years of ownership than a number its main European rivals coming from brands like VW or Opel. Cars that belong to the B car-segment and are renowned for holding their value include VW Polo, Toyota Yaris and other big players, such as Ford Fiesta, Peugeot 207 and Opel Corsa. Latest used car market and motor industry analysts -CAP figures reveal that after three years of ownership and 30,000 miles, a gasoline powered, used Hyundai i20 will still be worth 47 percent of its initial value. That’s five percentage points more than similar Ford Fiesta and 12 percentage points more than Opel Corsa. The model performing even better will be the i20 equipped with 1,4L diesel engine. It will retain 49 percent of its list price over the same time and mileage! While all of its rivals will be out of cover after three years, the new owner of a used i20 will still have two years “peace-of-mind” driving. Hyundai i20 comes standard with industry-leading 5-year warranty, which is fully transferable to a used car buyers. Thanks to affordable pricing, a range of fuel-efficient engines capable of up to 64.2 mpg on the combined cycle and impressive levels of standard equipment, its high residual values are further proof that the new Hyundai i20 is the perfect car for drivers who want to keep an eye on the pennies without cutting back on any of life’s little luxuries. The i20 goes on sale in UK in January, priced from only £8,195. 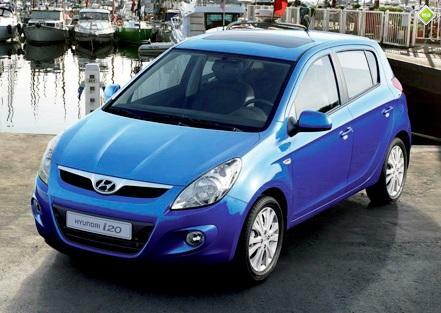 Browse through the blog to find more used Hyundai i20 offers and news.